Many people look forward to retirement as a time to take a permanent break from work and enjoy the reward of their years of hard work. Retirement could be a time to rekindle love, spend more time with family and friends, travel the world – I am drawn towards the ideals of vacationing, playing golf, and not having to wake up early in the morning and dress up for work. The problem though is that many of us have worked for up to 30+ years and waking up early in the morning, getting dressed, and showing up for work is the only thing we know how to do. 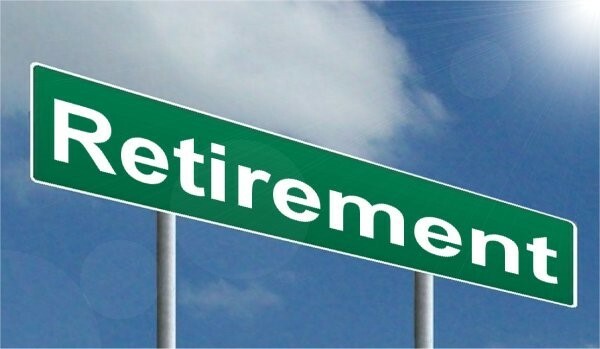 If you have enjoyed your career, you might find yourself missing work after couple of months in retirement once the euphoria of going into retirement wears off. Retirement could be a great time to try new activities – learning a new language, learning to play a musical instrument, or learning to code comes to mind. However, if you find yourself craving “work” in your retirement, you are not alone. Working while in retirement could help you stay in shape mentally and physically. Did I mention the part about making some more money on the side while in retirement? Here are four ideas if you’d like to earn some money during retirement. Becoming a consultant is a no-brainer for many folks after retirement. If you have specialized experience in your field (with more than enough references) or if you have advanced degrees, you’ll find it easy to waltz into a consulting role in your previous career. However, you’ll need to be judicious about the projects your take, how you handle your workload, and the schedule of your assignments so that your consulting practice doesn’t take you back into working full-time. Most consultants usually leverage the long number of years they’ve spent in the industry, their training and connections to land consulting gigs. However, you need to remember that a consulting gig is sporadic and you might not always be on call – that’s perfect for retirees if you ask me. If you have a flair for business or investments, you should seriously consider becoming an online trader if you are pinning for working during retirement. Online traders don’t have to worry about commuting to work and you can trade online in the comfort of your home or anywhere in the world inasmuch as you have a decent Internet connection. Retirees who don’t have much experience in trading and investments might also enjoy making speculative trades on a safe binary option trading platform in which the trades doesn’t require much fundamental and technical analysis. Trading from home could be an exciting adventure because of the dynamic nature of the markets but you should put only a fraction of your money that you can afford to lose into a trading account. Retirement might be a great time to give being an entrepreneur a shot. The demands of your job might not make it easy to put the advice of being your own boss into practice, but nothing stops you now that you are retired. Growing old affords you the luxury of having lots of great stuff that you have accumulated over the years – collections, books, antiques, Vinyl records among other things. If you don’t have reservation about selling some personal stuff, such stuff could a used as a starting inventory for your retail business. You could also take your business online in order to enjoy lower overhead costs. You might want to try eBay, Craiglists, or Shopify to get started on an online retail business. If you are feeling altruistic, you don’t need to give away all of your fortune before you can do something meaningful with echoes that could resound through eternity. Retirees could give back to the community by taking up part-time teaching and tutoring. If you are a retiree who loves being around kids (grandkids comes to mind) you could also offer to assist at daycare centers in your neighborhood. Retirees could also give back by taking up position in animal shelters or on the board of non-profit organizations. I heard that the Peace Corps might also have position for older individuals if you have a clean bill of health. Giving back to the community might not necessarily pay you back in monetary terms, but you’ll find the experienced richly rewarding and fulfilling.